The first 100 European tech scaleups have been unveiled during the second SEP Scaleup Summit taking place at London Stock Exchange Group in London. Mind the Bridge in collaboration with ELITE, London Stock Exchange Group’s business support and capital raising programme, as part of Startup Europe Partnership (SEP), launched the “SEP ELITE Tech Scaleup 100” a ranking of the top 100 tech European scaleups. 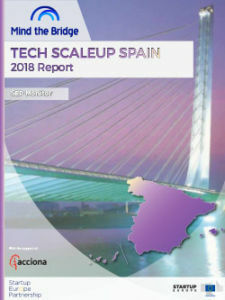 Data from the last “Tech Scaleup Europe 2018” SEP Monitor presented in London on the occasion of the second SEP Scaleup Summit organized by Mind the Bridge and hosted by the London Stock Exchange, highlight that the Scaleup Europe ecosystem is finally growing. But the gap with other ecosystems remains huge.